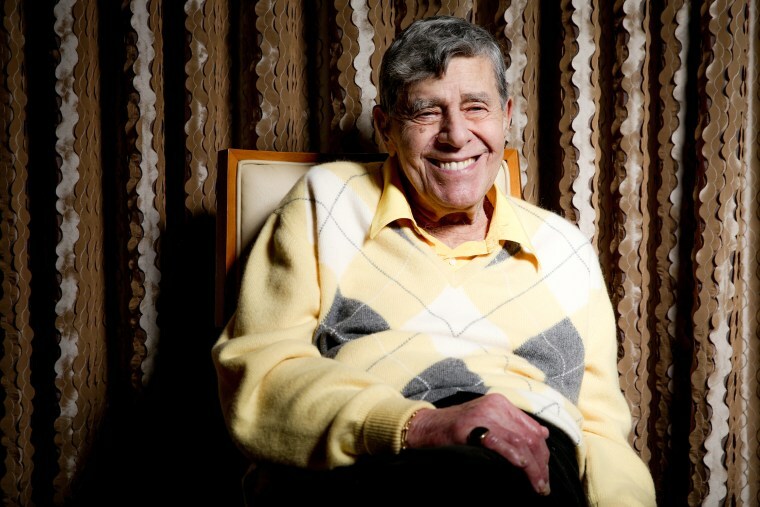 LOS ANGELES — Jerry Lewis, whose career as producer-director-writer and movie star peaked in the 1960s, may be best remembered by younger generations for the muscular dystrophy telethons he conducted every Labor Day weekend. While he had done earlier fundraising specials, Lewis appeared in his first Labor Day telethon, broadcast on a single New York station, in 1966. Donations totaled $1,002,114. He continued each year as the telethon grew into a huge event, seen on more than 200 stations. By 2007, the yearly take was nearly $64 million, and the Muscular Dystrophy Association said the telecast had raised $1.46 billion to fight the disease since it began. Muscular dystrophy is a group of genetic diseases characterized by progressive weakness and degeneration of muscles that control movement. The most severe and most common childhood form is Duchenne muscular dystrophy, which occurs in about one in every 3,500 male births. Lewis died Sunday in Las Vegas. He was 91. "MDA would not be the organization it is today if it were not for Jerry's tireless efforts on behalf of 'his kids.' His enthusiasm for finding cures for neuromuscular disease was matched only by his unyielding commitment to see the fight through to the end," said MDA Chairman of the Board R. Rodney Howell in a statement Sunday. "Jerry's love, passion and brilliance are woven throughout this organization, which he helped build from the ground up." Lewis had said that there was a special reason why he devoted so much time and energy to the MD cause, but it wouldn't be revealed until the disease had been conquered or until after his death. The shows did more than just raise money. "The telethons have heightened public awareness, not only for MDA victims, but other disabilities as well," MDA spokesman Bob Mackle once said. "Before the telethons, people with disabilities weren't seen on television. Children were not allowed in schools, disabled persons were shunned. The telethons changed that by humanizing the victims." The shows were an amalgam of musical and comedy acts, Las Vegas spectacles, celebrity appearances, donation pitches and sentiment. Also surprises. In 1976 Frank Sinatra had just finished a song, "Never Gonna Fall in Love Again," when he told Lewis, "I've got a friend I'd like you to meet." Dean Martin, holding a cigarette, strode onstage with his usual nonchalance. The audience exploded, and Lewis was stunned. The two old partners hadn't spoken since they had acrimoniously ended their act 20 years before. They embraced, and Lewis later recalled saying a quick prayer: "Dear God, give me a line. Help me to say something. I don't know what to do." When he regained his composure, Lewis said to Martin: "Ya workin'?" The laughter rocked the theater, and Martin, who was a big star in films and television, allowed that he got a few weeks' work at the MGM Grand in Las Vegas. The encounter was, said USA Today in 2002, "one of the greatest moments in TV history." In 2002, another surprise guest came onstage: Sean Hayes, the excitable Jack McFarland on TV's "Will and Grace," who was cast as Jerry Lewis in a CBS biopic, "Martin and Lewis." Lewis had not interfered with the TV movie and had even offered advice to Hayes: "Always play the 9-year-old kid and always hold onto that innocence." In 1970 Lewis introduced Johnny Carson, expecting the king of night shows to appear as his usual dapper self. Instead, Carson waddled out dressed and wigged like the talkative octogenarian Aunt Blabby. Sammy Davis had been a regular visitor, and in 1989 he served as New York host, despite undergoing therapy for throat cancer. He died a few months later. More than 2,000 performers, from Bing Crosby and Jack Benny to Adam Sandler and the "Friends" cast, have appeared on the telethon. Ed McMahon became a stalwart. In his first year, he was guest host for 10 minutes. The following year he did eight hours. "You were terrific; I really leaned on you," Lewis told him. "I wish you could do the whole show with me." McMahon became the telethon's anchor. Over the years Lewis was criticized for allegedly exploiting young people with muscular dystrophy. In 1985 he opened the show talking to the national poster boy. "You know that I love you? Huh? Answer me," Lewis said. When the boy said yes, Lewis added: "Now let's see if we can get the people out there to answer you, too." In 1992, Lewis's charitable crusade was tainted by pickets who protested that the telethon those with the disease appear sad by focusing on the small number of children who died and that it portrayed the living as "objects of charity, forever dependent and forever with a hand out." Lewis replied angrily that the protesters were a small minority who "confuse compassion with pity." He was so incensed over claims of "pity mongering," he announced he would no longer host the telethon. He rescinded his threat in time for the 1993 event. In 2000, telethon viewers were surprised by Lewis' appearance. His cheeks had ballooned and he admitted in an interview that "I look like a (expletive) pumpkin." He had gained 45 pounds because of taking the steroid prednisone to treat his pulmonary fibrosis, one of many ailments he suffered. "I've had pain in 37 straight telethons," he remarked in 2002. He attributed much of his pain to his years of comedy pratfalls. Lewis was given the prestigious Jean Hersholt Humanitarian Award by the Academy of Motion Picture Arts and Sciences in 2009. His last telethon MDA telethon was broadcast in 2010 although he remained invested in the organization's progress throughout his life. "MDA and the families we serve will always be grateful for the thousands of hours he dedicated through the telethon," Howell's statement continued. "Though we will miss him beyond measure, we suspect that somewhere in heaven, he's already urging the angels to give 'just one dollar more for my kids.'"